For film and entertainment enthusiasts, it is a pity to miss a big spectacle like Oscars 2018. The Oscars are undoubtedly the crown jewel of the award shows. Therefore, it will be a big loss if you are missing this spectacle. There is a great cinema to be enjoyed, and you will be able to see most of the recommendations lining up as the nominees in the Oscars 2018. So far, there are two most prospective front-runners for the race of the best picture, one of the most prestigious categories in the Oscars. We still remember that last year it was the race between La La Land and Moonlight. Both films had done really well in the Oscars and the voters. Golden Globes victories were also the benchmark of their achievement. This year is a bit different. The five films have been really different from the others. Although there are the frontrunners, the table can be turned in just minutes. The nominees were announced back then in the 23rd January. The main event, Oscars 2018 is set to happen on Sunday, March 4 at 8 pm ET on ABC. Jimmy Kimmel will return as the host of the show for the second time in a row. This year Oscars schedule had been adjusted because of the other important event. It is to avoid the popularity conflicts with the 2018 Winter Olympics which ended on February 25. Of course, this will give you the extra time to watch all the nominated films. There have been numerous of favorite films for the Best Picture category. One of them is the Three Billboards Outside Ebbing, Missouri. It tells about a grieving mother who orders the three billboards to remind the police officers and her neighbors about her daughter’s murder. It dominated the Golden Globes and did the really great job in the BAFTA nominations. Of course, the voters can’t neglect these facts as the reasons why they need to choose this film has the best picture. Not to mention that The Shape of Water by Guillermo del Toro also provides such a distinct fantasy romance thrills. It is a massive film which has a lot of categories to win. Lady Bird, on the other side, has the great prospect as well. Dunkirk Christopher Nolan, although is not the front runners, is expected to win the other categories. It has done the really great job in the guild awards. In the early process, it was the most favorite. Many films have been competing for these categories. One of them is journalism drama genre The Post. But it does not go well lately. The controversial love story, Call Me By Your Name has been moving really fast. This should land many great nominations. Then there is Darkest Hour, the focused Winston Churchill drama which seems to be struggling although the spot is reserved. There is also I, Tonya. It is worth watching because it has been killing it at some Oscar precursors. The Academy would nominate at least five. But now it has been increasing significantly. 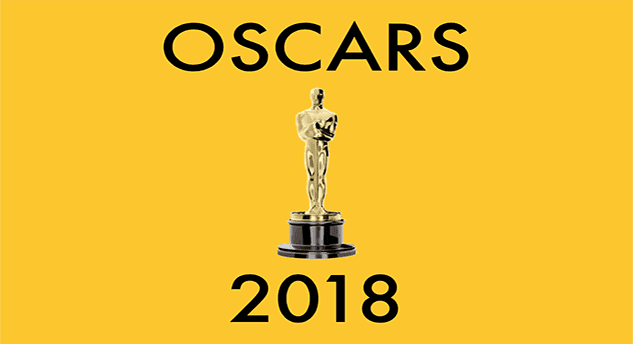 The Oscars 2018 or 90th Annual Academy Awards is set to happen on Sunday, March 4, 2018, at the Dolby Theater in Hollywood and will air life nationwide on the ABC channel. It will begin from 4 PM PT or 7 PM ET. Make sure you reserve your option to follow the main event because you will be missing a lot if you are late to watch. Not to mention that the favorite comedian Jimmy Kimmel will return to host for the second year in a row. The final voting of the films will run again for just a week, which is from February 20 to February 27. During that time, the nominees will be having significant differences. There is a new thing that you shouldn’t miss, the Oscar Concert. It will take place on Wednesday, February 28. The respective show will be aired by ABC. For the subscribers of the channel, you can either watch the Oscars 2018 on TV or live stream via online.